I got this for my birthday a while ago, and is my first of a couple of digital cameras that i like to use regularly. most other cameras only take aroung 8 to 15 mins of video with a high memory card but this one takes alot more. with a 512 mg SD card you can take over 1 hour of video and hundreds of pictures on high resolution. the "mp3 player" is a little low rate but its ok. and i never really used the voice recorder, but when i did test it it sounded ok except for a low static sound in the backround. if you do get it i suggest getting an extra battery, and at least a 256 mg card. Most of the problems that occur can be fixed with the manual, and if you have a dot on your screen that doesnt change its alright because it wont come out in the picture. 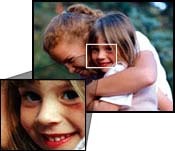 2 megapixels is a little on the grainy side, but you can print regular sized pictures without any of the grainy effect. Overall it is a very handy and useful camera for everyday use and catching those spur of the moment things. This is very poorly designed product, extremely user-unfriendly.The PC connection has to be snapped so tight till it almost breaks to make a connection.Buttons are very small.I have tiny fingers but still have trouble setting to the right mode and if you are not careful, you could be digital video-recording which takes all the memory in 1 minute instead of taking the pictures.The pics are very poor quality and DARK!! 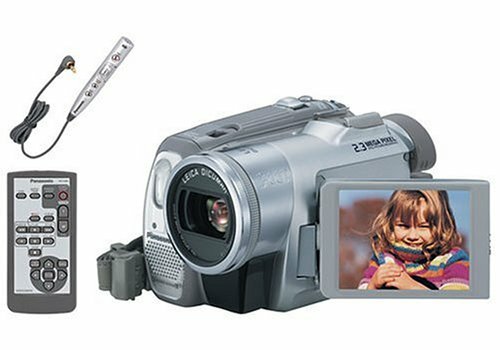 !DO NOT BUY this product, just buy a real digital camera or buy a real digital video recorder. I recently bought this on sale (very good price I might add) and am going to be sending in for the rebate.For what I paid it is a great little product.It's nice to stick in your purse or bag and you have everything at your fingertips - voice recorder, camera, video and music. Well, I just read other reviews and I was surprised!First of all, I had a USB cable that fit the camera and plugged into my computer, so I didn't have that issue.I'm sure I would've been frustrated as well if I had to go purchase one.Personally, I was able to edit and create movies on my computer with no problem, using the free software that came with my computer (Sony VAIO, 3 years old).So I guess maybe I was lucky, but I have had a very good experience with this camera.The only reason I gave it 4 stars instead of 5 is because the picture quality on my movies isn't the greatest. This camera is a little outdated though, so I can't complain.Plus, for the price, it has been outstanding. I've had this camera for 2 years now and for the price it has done alright.Recently though, just as someone had mentioned in an earlier review, it stopped connecting to my PC via the firewire.I plugged in a friends JVC and it worked fine, so I know it's not the computer or the cable.Its past warranty obviously... I don't think I'll pay to have it fixed.I just wish this would have lasted longer.Time for a better one - this time made in America ! For the price this Camera Rocks !! I've had it for close to 2 years and for the price it's awesome.. I've used it to video tape Basketball and Football games .. Just an outstanding value.. The battery last at least over an hour .. Picture quality is great .. Check out some of my video at www.pleasantgrovesports.com .. Go to either Basketball or Football links .. click J.V. and then one of the kids last name for a short video clip.. This camera specs well and packs a lot of features. Using the features can be difficult and in some cases, too easy. On several occassions, I have hit the photo button while trying to find the zoom button. The IEEE 1394 (firewire) port failed. While mounted on my tripod, you cannot replace the battery. The battery release is on the bottom of the camera which is obstructed by the tripod. The sound quality is marginal. I am being generous with a three star rating. If you plan to use the camera frequently, invest time understanding your objectives and match the capabilities of the camera. This camera is small and awkward for me to use. I was happy to receive it as a gift but would not have purchased it for myself. 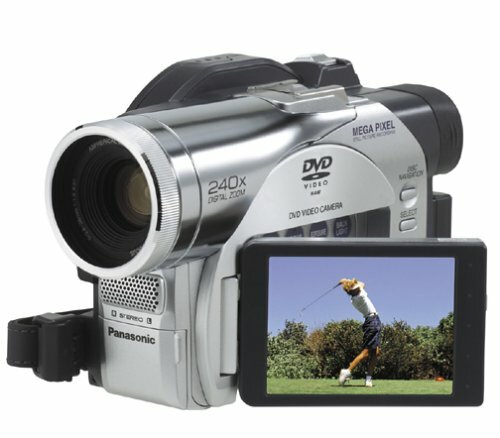 This Panasonic DV camcorder is a solid performer and a great value. I've been using it for several months, and it hasn't let me down at all. Battery life is good, picture quality is great, and audio quality is acceptable. the effective resolution of this camera is 96K, which is worse than most Hi-8 cameras. it supposedly has a 1/4 CCD with 680K gross, but this is probably myth. 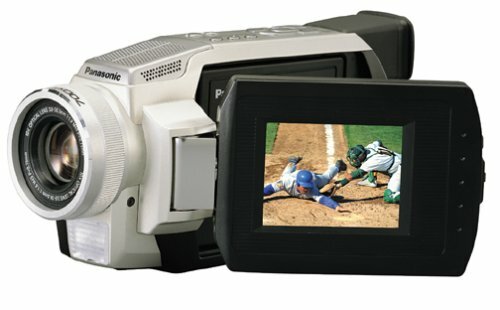 do not believe anything you see on camcorderinfo.com about this camera. 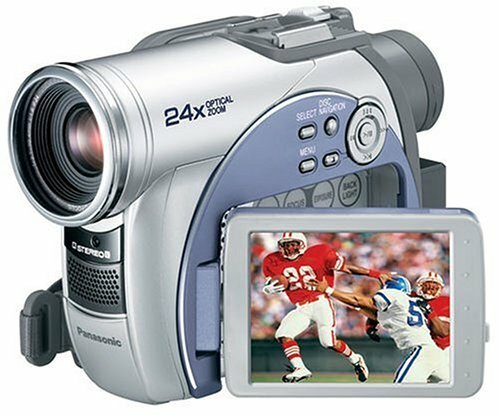 Customers interested in the best that camcorder technology has to offer will be impressed by the new compact PV-GS65, PV-GS150, and PV-GS250 3CCD camcorders from Panasonic. I would put this camera in 5/5 rating if the it could work fine in low light. In day light or in electric light even if not so bright, this camera does a good job. 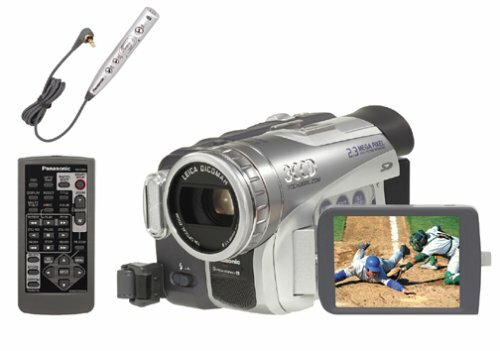 I use this camcorder for my own videography business and have never had any complaints about the video quality.To get a better camcorder, you would literally have to pay twice as much money. After buying camera, worked fine then i started having to reset it constantly.I sent it in, came back working fine.Same thing started up again, and now i cant play back.Also, terrible quality when filming indoors.Very grainy. A little old, but still a great buy! 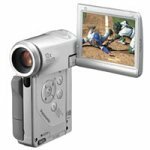 I bought this camcorder a couple of years ago, when it was the latest version of the pv-gs# series.It has proven a great purchase, with tons of features for a great price. Everything billed about this camera that is good, even its seemingly solid construction, is true--when you first get it. Ruined 3 vacations - stay away - horrible! This camera was a dog from the first day I got it.Jittery picture and audio drop outs.STAY AWAY. 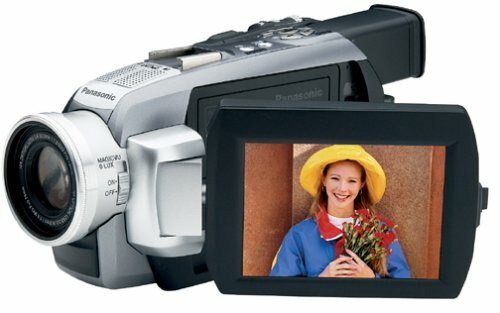 Great camera - Well thought out, good quality pictures and movies. 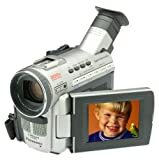 This is the Camcorder to buy !!! 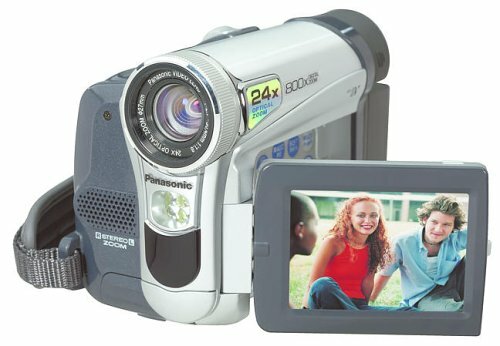 This is the best camcorder for it's size and price.Also no tapes makes this camcorder really great.Good still pictures as well. I've owned the camera for 3 months now, and am very happy with it.I needed a camera tiny enough to carry in a purse, yet capable of high quality video, and this is it. The fact that this records files with an .mod suffix is irrelevant. When you rename them as .mpg files they are fine. Actually, Premiere Elements 2.0 doesn't even require you to rename them, it deals with .mod files just fine. I own this this camera since February 2004. It is very well built, lightand handy, fits in any pocket. The comment from reviewer "Xdeth" about using Ulead editing software is completely wrong.I've been using Ulead VideoStudio 8 to edit SV100 videos for over a year.Yes, as many others have stated, the ".mod" files need to be renamed to ".mpg" to use Ulead and much other software. 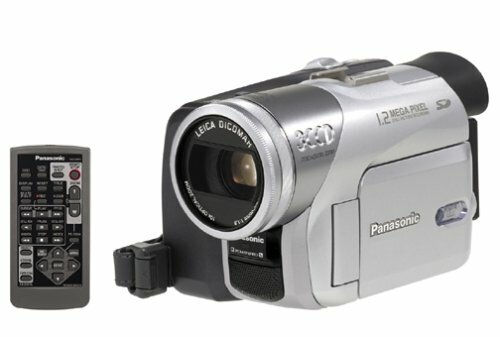 This camera uses MPEG-1 compression which is basically VHS quality, not MPEG-2 which is the current DVD standard of choice. Despite high pixel count for still images, MPEG-1 is only 352X240 and it shows. Also, software provided is PC only. Finally, the small (8cm) format discs don't play well in cheaper players.I've had problems where the small disc does not have enough mass to keep the spindle PLL in the player locked so the movie hesitates on playback. Very frustrating.All in all a big disappointment. If you are concerned with picture quality don't buy this camera.This cameras selling feature is that you can record to dvd.Which is does very well.The picture quality is very poor.The color fidelity and saturation is very poor.The detail in the blacks is non existent.If you are like me and tape the kids bithday party's, etc & want any kind of picture quality don't buy this camera.Most of my recording was being done under 3 60 watt light bulbs.Such as in a living room or kitchen. So there's plenty of light to work with. 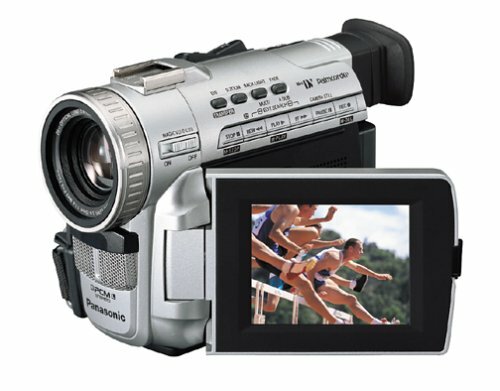 What you are paying for with this camera is the dvd recorder.As others have said the supplied software is useless. I bought this camera because it earned Editors' Awards from ... extremely reliable on their reviews.Considering that comparable models from other makers...were priced well above [$], the sub-[$]price was also a significant plus. 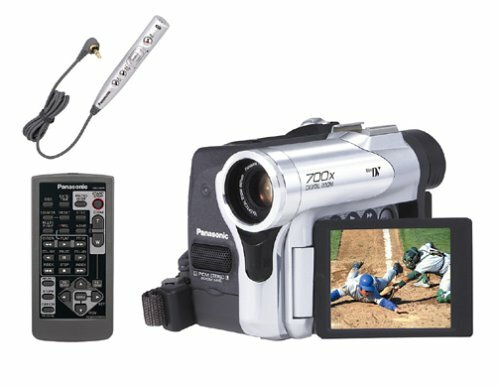 I was going on vacation and decided to get a videocam/still camera to record the festivities.After reading reviews from many different sites (epinion, various computer and video mag sites) I decided on the PVDV701.I have used it numerous times for still shots and video without a single glitch.The monitor is bright, the menu system easy to use, and the video quality is great.I have read some complaints about drivers and repairs.Maybe I've been lucky, but I also did things to prevent myself from getting in the same situation.I bought a 3rd party extended warranty which covers everything, including replacement of the unit, which anyone should do anyway for a 800 dollar investment.Also, I have experienced the same problem with the Windows XP drivers, but in foresight, I bought the Pyro Digital Video 1394DV card/software package at the same time.It included a firewire care and software for 69 dollars which is more than worth the investment.I get my video via Firewire and still shots via SD card and USB.Using USB to pull down video cannot be fast or good quality (this is just my opinion, considering the slow rate of USB data transfer).My videos come down at full speed, no dropped frames and highest quality audio that the camera will allow. I recommend that you stay away from this unit. I am team manager for a small midwest skate team and we were in need for a video camera. I was also looking for something that had a clear enough video i could do some short movies with it as well. I've had this camera for about 4-months now and have taken well over 150-hours worth of video from various sporting events and a few family events. This camcorder is good but not great. Sure its not expensive but with this amount of money you can get a much better one on ebay. 1/6 in ccd is average for this price range. It has no mic input. But it does last a good amount with the battery, has acceptional quality under lighting when i use two or more lights...for my movie aspire which is a musical. During shots that have fast sequences, you can tell as it looks jagged and not smooth. This had to be fixed in post, which, if you're only paying 250 for this cam, you probably won't waste your time fixing this in post. The manual white balance is nice. This camcorder is absolutely wonderful. Though I don't think I'd pay top dollar for it. While it works great recording and playing back, there is minimum software availible ( Id didnt recieve any) and figuring out how to download it to the computer to burn to a DVD took a while. Though I only paid $195 for this camera that also came with a brand new camcorder bag and additional battery. I kinda wish I would have spent the extra money to invest in a DVD camcorder. 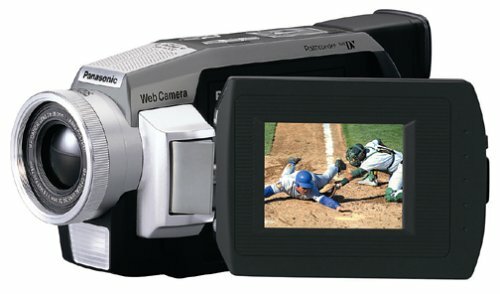 But, if you are willing to take the time to learn how to burn to DVD, then this is a great camera! 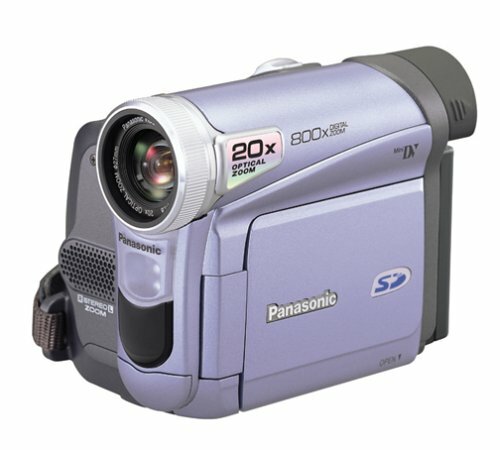 As of 8/13/2004 this camcorder (PV-DV400) is not available in the US.There are reviews here that date back to 2000, makes you wonder about the integrity of the reviews here at Amazon. 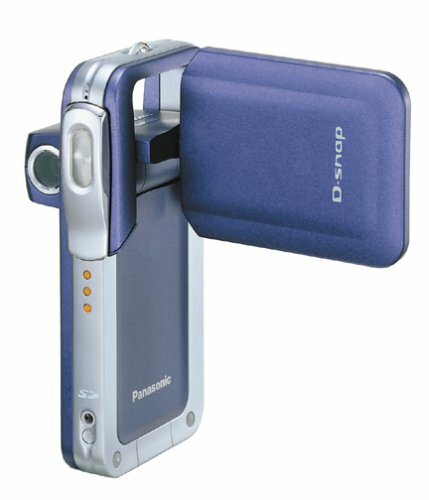 I buied a handycam panasonic model NV-VZ10. Feature wise this model is OK, although it is missing two key features: color viewfinder(useful under bright light) and analog input(dubbing analog tapes).However my unit has been having mechanical problems right after the waranty expired.The camcorder would refuse to load any cassette, more often than not the tape will get jammed inside the camcorder.I had to cut off one recorded tape (thus losing my recordings) to get it out of the machine.Switching different brand of tapes did not help either.I do not recommend this unit at all. 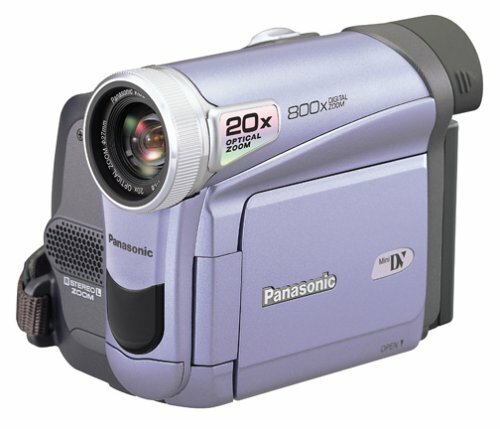 The camcorder is pretty easy to handle, it's a standard horizontal layout but it's pretty small. 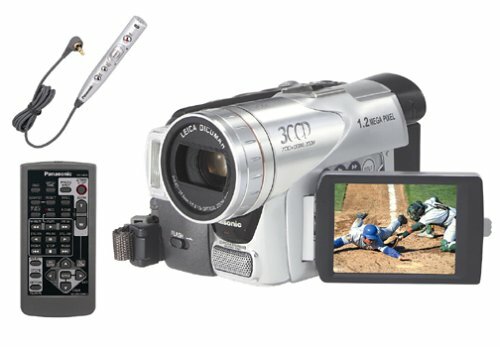 You can also save 30 second MPEG-4 clips to the SD cards.The 1.3 Mega Pixel CCD is better than the 1 Mega Pixel on the Sony DCR-TRV25 and the 1 Mega Pixel on the JVC GL-DV820U.The camcorder has an IEEE 1394 Firewire in/out port to transfer your video from your camcorder to your computer digitally. 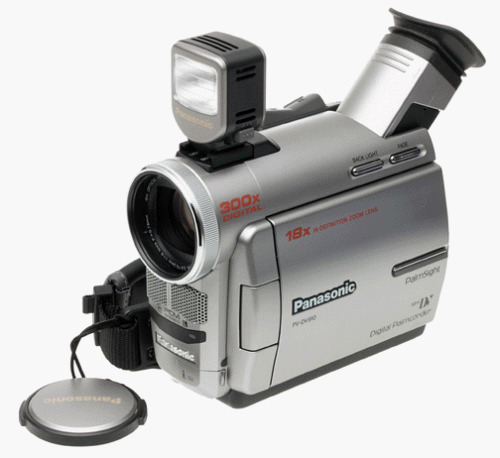 The camcorder also has a composite in/out port and an S-Video out port. The PV-DV702 also has a headphone jack. The PV-DV702 also has a microphone jack. Another neat feature on the PV-DV702 is an audio dubbing mode (only with SP video) which allows you to re-record the audio over pre-recorded video. You can also use the PV-DV702 as webcam using the USB port. Working with Microsoft NetMeeting or similar web cam software, the PV-DV702 can be hooked up to a computer to use it as web cam or a videophone. This is a tourist-camera body with a professional output!I use this camera for commercial video and public access cable TV.I've taken this camera on vacation all over the world.On a flat panel TV, people always remark how incredibly good the resolution is on this camera, in all sorts of lighting environs.One of the standouts is the excellent lens and the sharp autofocus.It also rocks with a steadicam.My next camera is going to be a lot less fun because it is more bulky. Prosumer for less than $900! I was attracted to this camera when I was told I could insert titles with it.I was very disappointed to learn that it comes with a limited set of predefined titles (Birthday, Christmas, Graduation, etc.) and no way of creating my own as with my old S-VHS camera.I tried to contact customer service through their email address to ask about this and another problem - after a couple days I got an email back telling me to call during business hours.I find the thumb wheel that operates the menu driven options system ackward to use and frequently press the wrong button in the middle of trying to get to an option. I've produced several half hour shorts in digital video with this camera and am very pleased with the long lens, image stabilization, digital video format, low light and bright light imaging, built in stereo mics and external mic input, large LCD screen, and color viewfinder!!! I bought this camera after reading lot of reviews. 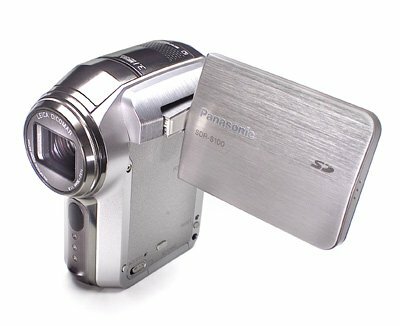 This is the first video camera that I have bought. Few things which PV-DV910 lacks is that it does not come with any software so as to edit the Digital Video in the PC, nofirewire cables - even though it has IEEE1394 port for transfer. Eventhoughit says 300x digital zoom, the system does not go beyond 36x. Theperformance is very poor in low lighting. Out door in normal sunlight, itis great. Overall not too happy for the money that I paid for it. Better color?... Don't believe the hype. There are a lot of features about this camera that I like (alluded to in other reviews), but the vivid colours due to 3ccd technology is not one of them.I did a side by side comparison with my buddy's 3 year old Canon single-ccd and guess what?When played back thru his tv, my tv, my video projector, etc. his looked better.First of all, the resolution of the image seemed much better, and the colours were more accurate than my PVGVS70.For instance, we both shot a yellow sign -- it came out orange with the Panasonic.